Amazon, which announced a $15 minimum wage bump for 250,000 employees last week, is developing a fleet of "picking" robots to staff its warehouses, known as fulfillment centers, according to The Information, citing three people with knowledge of the work. Warehouse pickers grab items from shelves and put them into bins before they are prepped and shipped. The new robots will be able to visually identify items as they speed down a conveyor belt, then pick them up with a compressed-air vacuum gripper before moving them onto a table or shelf - said an employee who witnessed the robot in action. That said, our future robot overlords aren't quite ready for prime time. For its part, Amazon says picking robots aren’t yet ready to handle the huge variety of items in Amazon fulfillment centers, with their different shapes, weights and sizes. 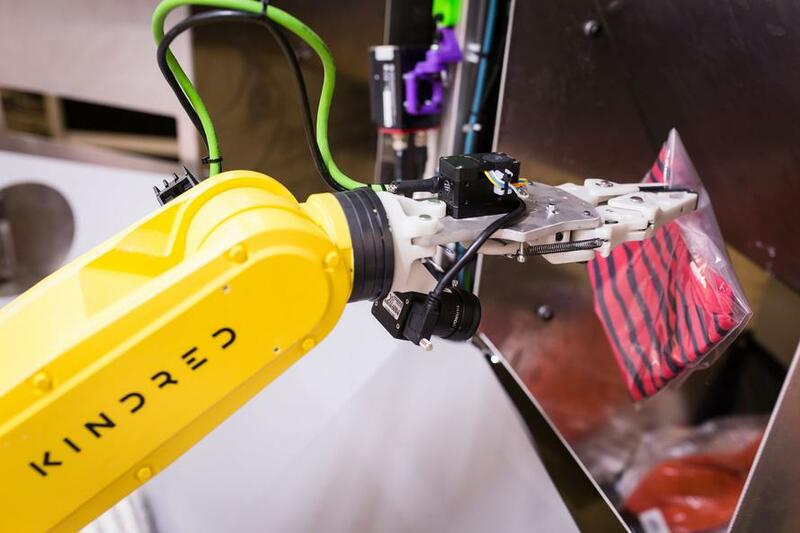 In an emailed statement, Brad Porter, vice president and distinguished engineer at Amazon Robotics, said human pickers are also much better at spotting problems such as a leaking jug of laundry detergent before it is shipped to a customer. Amazon began using automation in its fulfillment centers six years ago. During the same period, they have hired over 300,000 employees worldwide. Of the company's 185 fulfillment centers, over 25 of them, or around 14%, utilize robots. "We need advanced technology and automation to meet customer demand—it’s just that simple," says Porter. In recent years, strong growth in warehouse jobs has been accompanied by headlines criticizing various companies for low pay and disgruntled employees. Thanks to low unemployment, Amazon has found it increasingly difficult to attract workers - hence the wage increases. All of this means a more expensive workforce, which is a major reason for the push to replace humans with robots. In 2012, Amazon acquired robotics startup Kiva Systems for $775 million, as Amazon's warehouses are well-suited to repetitive tasks. That said, " in a setting like an Amazon warehouse machine-learning algorithms must advance significantly so the machines can recognize the appropriate items they need to select from an array of objects," according to The Information, which adds that there is "little doubt among academic researchers and engineers that those hurdles will eventually be overcome. That could have profound implications for jobs, as online commerce continues to devour more of the retail business." Amazon has previously sought to encourage innovation in picking robots with an annual contest, in which participants would compete to develop robots that could perform tasks such as grasping items and placing them on shelves. Amazon awarded $270,000 in prizes to winners of its 2017 robotics challenge. Most contestants came from academia, as opposed to startups. Online retailer JD.com, meanwhile, has announced plans to conduct a December "picking challenge" of its own in Tianjin, China. The company boasts a fully automated fulfillment warehouse in Shanghai run by a skeleton crew of humans whose job it is to monitor and maintain the machines. Experts differ on how long it will take before e-commerce fulfillment is fully automated. Jeff Mahler, CEO at Ambidextrous Laboratories, a robotics startup that was recently spun out of University of California, Berkeley, said some parts of fulfillment can be automated in the near future, such as organizing products on shelves in warehouses. But humans will still have a role to play for some time because robots have a tough time grasping certain objects due to hardware limitations, he said. For example, it is difficult for them to pick up objects that are hard to see, such as a water bottle, he said. Older startups are more optimistic that picking robots will be widely deployed sooner. RightHand Robotics, a company that sells picker robots to retail, pharmaceutical and grocery companies, can handle hundreds of thousands of product SKUs at rates that can exceed 1,000 units per hour, according to Vince Martinelli, the head of product and marketing. 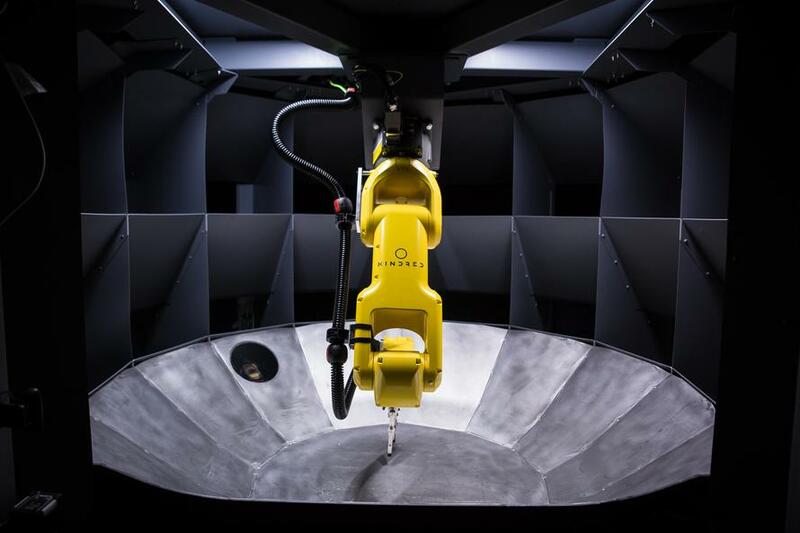 Robotics startup Kindred Systems has used data obtained from human operators to help train its robots to grasp objects. The company is now phasing out humans - having learned our ways - according to CEO Jim Liefer. Kindred's robots were operating at 20% autonomy in late 2017. Roughly one year later that figure now stands at 85% according to Liefer. According to futurist and author Martin Ford, Amazon will have replaced most of its human pickers with autonomous robots within five years. According to Ford, the productivity gains made in automation won't matter if there aren't enough employeed people to spend money on consumer goods. "We have to solve the problem of getting rid of people and replacing them with machines."